One key feature aiding the Mitex spacecraft to fly undetected is they are unusually small -- only about 500 pounds each. Virtually all modern geosynchronous orbit spacecraft are far larger. "The Chinese will complain to the international community in Geneva, Switzerland" says Greg Kulacki, Chinese program manager for the Union of Concerned Scientist's Global Security Program. They will be concerned about whether a covert U.S. ASAT development could stem from the Mitex system, but also "about how the U.S. is always complaining about the need for transparency in Chinese space operations, but then is itself conducting secret operations like this," Kulacki says. At the same time, Chinese engineers will be glad to see the U.S. doing it. This is because it will also "give Chinese space planners an opening to develop their own similar system" to achieve parity with the U.S., Kulacki says. At nearly 25,000 miles high, objects in geosynchronous orbit are too small to be easily seen optically or by radar. This gives the Defense Dept. concern that China could someday conduct ASAT tests there to follow up on its low altitude ASAT capability demonstrated earlier. In fact, DSP 23 itself carried a White House-mandated sensor package designed to detect whether rogue nuclear powers like Iran or North Korea were conducting secret nuclear tests in deep space. That capability, however, has now been lost with the loss of DSP 23. But when DSP 23 malfunctioned, it gave the two Mitex satellites a U.S. target to examine that could provide information on why the 2.5-ton satellite failed. Imaging of the satellite could possibly show damage from a micrometeorite hit or perhaps a bent antenna. Radio data obtained up close could also perhaps detect a malfunctioning circuit or computer. And the exercise of coordinating the Mitex visits to the DSP in itself is valuable to DARPA. In addition the Delta 2 that launched the Mitex spacecraft from the Cape here was a unique four-stage version that used a new, solar array-equipped upper stage developed at the Naval Research Laboratory (NRL) near Washington, D.C. This new NRL upper stage is itself an important new military space element, that in the future could allow the delivery of small covert spacecraft to geosynchronous orbit. DSP 23, the last of a highly successful series flown since 1970, is only the second one to fail in orbit. But the DSP is now a ghost ship moving 69 miles per week east along the geosynchronous arc where many other spacecraft are parked. The USAF is contacting operators who may need to move their spacecraft out of the way of the 5,000-pound hulk. If it were to collide with a Russian, Chinese or even European satellite, the crash would cause an international incident in space. It can not be shot down as was the failed USA 193 reconnaissance satellite, because the debris would stay in the geosynchronous arc. Details emerging on how the inspection exercise is playing out indicate that the DSP most likely failed around Oct. 8, when it was supposed to maneuver to tweak its orbital position but did not complete that command. The spacecraft was, at the time, parked at 8.5 deg. East longitude over the equator south of Nigeria, where its infrared telescope could scan Russia and China for missile tests and threats. But when the satellite became uncontrollable from its ground control center, orbital mechanics started moving it east at about 69 miles, or 1 degree, per week. The two Mitex satellites then became possibly the first "first responders" in space when they were dispatched on emergency runs toward the DSP from their own parking spots on opposite sides of the planet. The initial Mitex was parked west of DSP 23 over the mid-Atlantic when, during the second week of December, it was commanded to begin to move east around the planet toward the 33-foot DSP, which by this time was crossing south of Eurasia. It is not known how close this initial Mitex got to DSP 23, but their signatures essentially merged starting about Dec. 23. This could possibly mean the initial Mitex moved in close to DSP 23 to image it or perform other diagnostic work and could still be keeping watch there. The second Mitex started its trip from a position much further east of DSP 23. It maneuvered west along the geosynchronous arc and flew past the DSP on New Years Day. It is possible this spacecraft was being prepared to then move back east toward the failed satellite. Failed or depleted spacecraft like DSP 23 are normally maneuvered higher into a graveyard orbit so they will not be a hazard to other spacecraft holding their positions in the geosynchronous belt. In a few years, DSP 23 will reach a position on the equator north of Australia where orbital mechanics will start to maneuver the spacecraft back west, where it will travel until reversing the process south of Europe years from now. It could continue this motion back and forth for thousands of years. 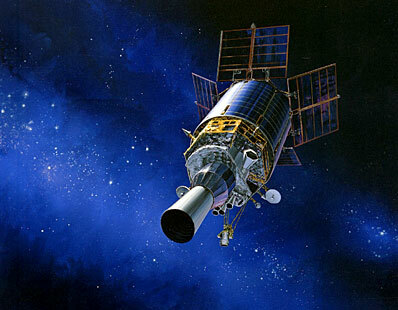 DSP 23 was supposed to bridge the space based U.S. missile warning capability to the lagging Space Based Infrared SBIRS program. But the USAF is now beginning an emergency procurement for a gap filler spacecraft. The two Mitex spacecraft have relatively little maneuvering propellant remaining and will likely fly themselves into graveyard orbits in the next few years. But the inspection of geosynchronous spacecraft remains a high military space priority. 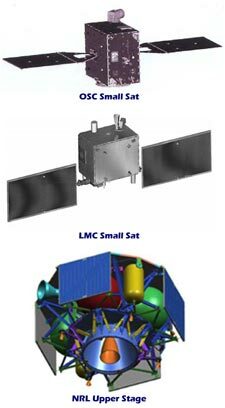 The USAF could theoretically go for an operational direct inspection system like the Mitex satellites for extremely high priority targets. But it is also procuring the Space Based Surveillance Satellite System now in development by Boeing and Ball Aerospace and set for first launch in April from Vandenberg AFB, Calif. The SBSS satellites are to be a low altitude system to optically characterize spacecraft maneuvers from a great distance away. 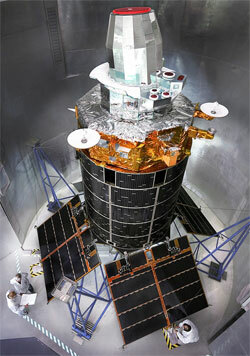 It will have nowhere near the imaging capability of Mitex type spacecraft operating near the target satellite, however.